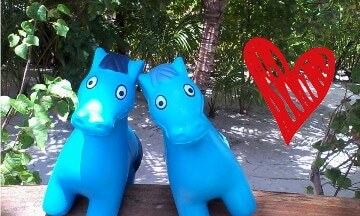 On 14th February, lovers around the world will celebrate Valentine’s Day. Make the most of this holiday to boost your sales following the post-Christmas lull. As the fourth largest retail holiday in the UK, Valentine’s day is much more than just a day of romance. It is estimated that at least £1.6 billion is spent on gifts and treats for the occasion, with 51% of Brits opting to buy presents for their loved ones. In 2014, Britons spent £40.2 million on cards alone, amounting to an average of £1.86 per person; the highest average spend out of all the special occasions. Whilst companies can always rely on e-mails as a safe marketing bet, more and more online retailers are using social networks to try and communicate their Valentine’s Day offers, as well as suggesting gift ideas for those short on ideas. With less than a month to go until the big day, here are some tricks to help you increase the visibility of your brand. With more than 1.5 billion active users each month from all four corners of the globe, Facebook, the world’s number one social network, provides the ideal platform to communicate with your consumer base in the run up to Valentine’s Day. 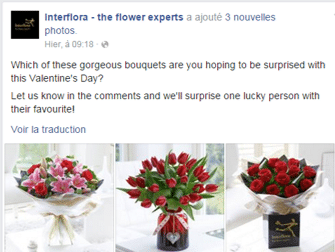 One company taking advantage of the occasion is the florist Interflora. In one post, their marketing team posted pictures of three different bouquets, appealing to followers to comment letting the company know which one was their favourite. In return, Interflora promised to surprise one of the commenters with a free bouquet of their preferred arrangement. Not only does this tactic allow Interflora to penetrate the newsfeeds of the friends of the commenters, but simultaneously, this post acts as market research, allowing the brand to see which bouquets are most popular. Another way to mark Valentine’s Day is by releasing a video on Facebook, in the hope it will go viral. 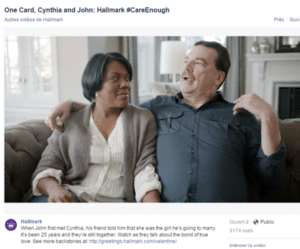 Hallmark Cards is continuing its #careenough video campaign, and are using the theme of love for this occasion. One such video involves a couple talking about how they met, and when they realized that they were in love (spoiler: it was that night!). If you would like to use Facebook to reach more internet users, be sure to check out their Dynamic Product Ads service which can help optimize your product catalogue’s visibility. This ad format allows you to advertise efficiently your Valentine’s Day products by choosing your target audience beforehand. If your brand is on Pinterest, make sure you create boards consolidating all of your Valentine’s gift ideas, creating individual ones with gift ideas for men, and another one with potential presents for her. By offering a list of products that has been specifically chosen to suit your target audience, you multiply your chance of converting hits to sales. As a worldwide social network, with more than 100 million active users each month, this platform provides a great opportunity for retailers to market their products and offers all around the world. Leading up to 14th February, many people will use the hashtag #ValentinesDay to try and find the perfect present. Last year, Starbucks took it a step further, creating their own hashtag: #StarbucksDate. They attempted to hold the world’s largest Starbucks gathering on the day before Valentine’s Day, and encouraged their followers to use the hashtag. By the morning of 13th, 16000 people had already used the hashtag. Of course, few brands have quite the reach that Starbucks has. Smaller brands can use competitions as an effective marketing tool on Twitter. This strategy helps improve your social media presence, as well as helping build brand awareness. In a post attached to an image of their Valentine’s collection, the American jewellery brand Alex and Ani has promised a $50 gift-card giveaway to one of their followers who retweets it. This tweet also uses the hashtag ValentinesDay to make it more visible, and has already been retweeted nearly 700 times within 18 hours. Bought by Facebook in 2012, Instagram is another platform you can use to showcase your Valentine’s Day products. It is important to recognize that more and more retailers are organizing competitions on this social network to attract new subscribers to their own websites. Like Twitter, companies encourage followers to post a photo using a specific hashtag, whilst also tagging the brand. This is a great way to appear on potential customers’ Instagram feeds. If you are looking to increase the visibility of your products during the Valentine’s Day period, remember to pay attention to ‘influencers’; according to a Nielsen survey, 85% of consumers say that their decision is affected by these people’s opinions and reviews. Don’t hesitate to get in contact with influential bloggers who may be able to promote your products and/or offers on their various social media channels. Download our Ecommerce Calendar 2016!